Shannon Miller Lifestyle Goes Live! Regardless of their profession, all women struggle to find time for themselves. They are always on the go, and often serve as the primary caregiver to their family and friends. Shannon’s website provides professional and interactive user content in critical areas such as Health & Nutrition, Fitness, Pregnancy and Motherhood. Not long ago, Shannon Miller could leap down the balance beam and gracefully land on one foot. Now, she’s learning to master a whole new balancing act: motherhood. Since retiring from competition, the two-time U.S. Olympic Hall of Fame inductee has immersed herself in the community, advocating for women’s health, wellness and empowerment, and contributing her time to several charities, . . . .
Olympic Gold Medalist, Shannon Miller, launches her radio show Shannon Miller Lifestyle: Health and Fitness for Women. Shannon Miller Lifestyle presented by St. Vincent’s HealthCare airs Sunday’s 9am-10am EST on WOKV-Jacksonville 106.5FM/690AM. The first show will launch Sunday July 4th. Those not in the Jacksonville area can listen live online at ShannonMillerLifestyle.com. 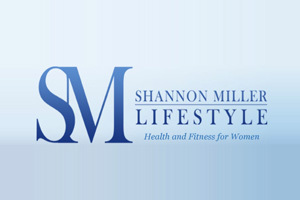 Welcome to Shannon Miller Lifestyle: Health and Fitness for Women! The goal of SML is to inform, inspire and transform woman’s lives through a healthy and balanced lifestyle. Communication is critical to success whether it’s our family, our work or our health.